This is the list of aircraft frequencies for UK and Europe. 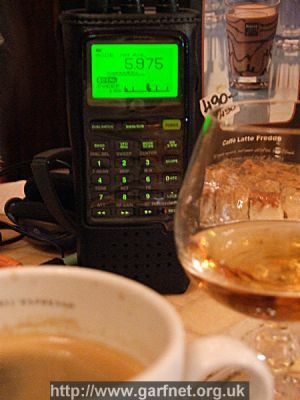 Obviously you need a radio receiver capable of receiving these frequencies, such as the AOR 8200 or the Icom IC-R20. This is not an ehaustive list. It is just a collection of frequencies I have collected over the years on various scanners, or that I have borrowed from other scanner enthusiast's scanner files.